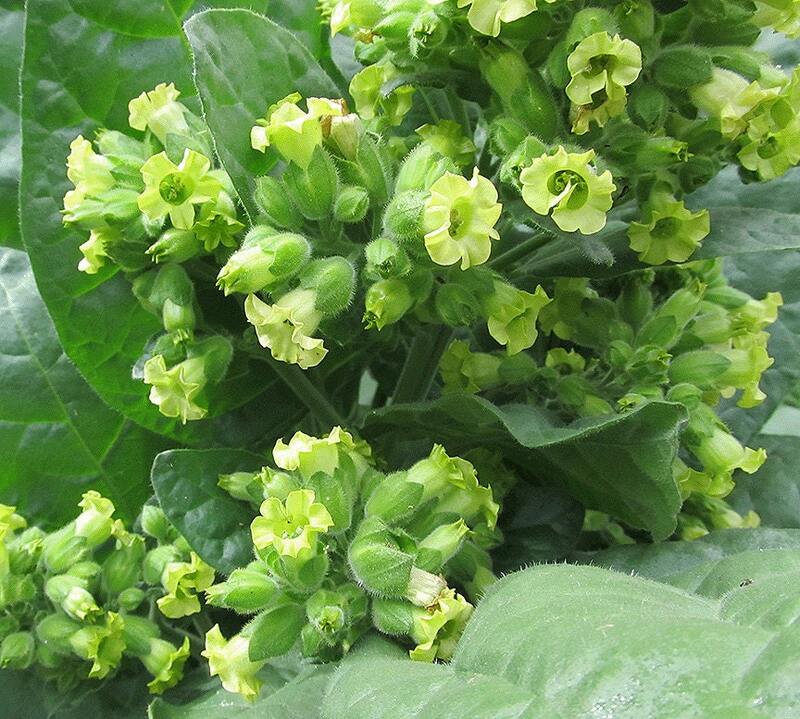 There are many Nicotiana varieties called “Hopi tobacco.” This one is small and well-behaved enough to include in a flower bed. Its pale blue-green leaves are rounded, six inches or less, and arranged in a mounding rosette. Flower stalks rise up to three feet with masses of yellow-green tubular blooms in late summer. Much higher nicotine content (10x) than smoking tobacco makes it a good choice for insecticidal teas -- please use carefully, as nicotine is a poison for all creatures. Pretty nice, be patient, water your plant only when it is semi dry, sprinkled the seeds, and almost all of them sprouted, but as time went by, I lost a few, to date, my little plants are fairly 2 inches tall, tobacco growing takes months, maybe 12 to get a full mature plant, but it is worth it! Fast shipping. Informative plant specific packaging. Beautiful packaging, fast shipping, great quality!! Planted my tobacco today and I'm so excited to watch them grow!